Good day to you, gentleman, and to any ladies who may be among us. I should presume that many of you have heard of the latest game in the Professor Layton series: The Miracle Mask. Those of you who are considering to purchase it when it releases this Friday in the United Kingdom are in for a treat. 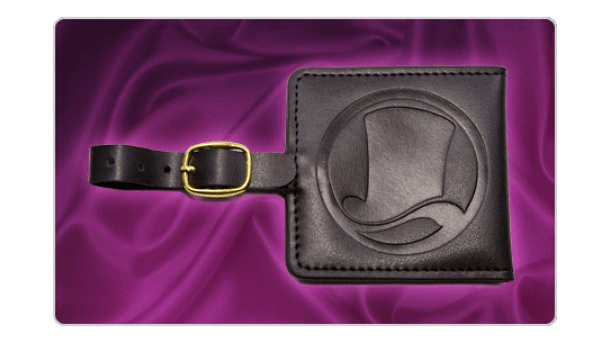 The first 5,000 gentlemen (and ladies, of course) who register the game with their Club Nintendo account will receive a complimentary luggage tag, emblazoned with the series’s top hat logo. A gentlemanly gift for a gentlemanly game. Unfortunately, this delightful gift has yet to be announced for the American and Canadian audience. Thus, we Yankee gentlemen will have no choice but to respectfully go without. After all, this wouldn’t be the first time. Registration will be begin on the 26th of October at 8 a.m., so be sure to pick up your copy of Professor Layton and the Miracle Mask at the nearest retailer at your earliest convenience. Again, I wish you all a good day and good luck in your endeavors.